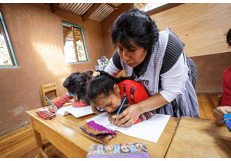 A donation of $1,850 to the Ayni Scholarship Fund covers an entire year’s tuition for a child to attend Kusi Kawsay (Happy Life) Andean School! 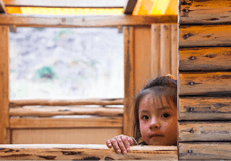 Many of our students come from a reality that does not honor their indigenous Quechua language and heritage. In contrast, Kusi Kawsay creates an environment that nourishes each student’s whole being academically, socially, emotionally, physically and culturally. We’re so inspired by the difference we’ve already seen in students attending Kusi Kawsay. 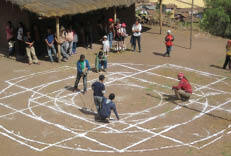 Andean tradition and life is rooted in community and Ayni (Quechua for reciprocity). Reciprocity is a profound guiding principle that is deeply embedded in most Indigenous cultures. It begins by giving first, giving unconditionally and wholeheartedly without expectations attached. Ayni is not to say today for you, tomorrow for me (commonly referred to as the golden rule). Ayni is like breathing. How long can you survive by only inhaling – it is not possible. How long can you survive by only exhaling – it is also not possible. That is the flow of life that is Ayni – inhaling, exhaling – expanding, contracting – giving, receiving. All the momentous work done by Kusi Kawsay is rooted in Ayni. interdependence. The Kusi Kawsay children, youth and community learn how to be an integral and necessary part of a community, they learn about the importance of gratitude and reciprocity. 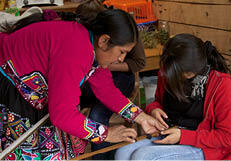 Andean belief teaches that reciprocity brings balance through responsibility and a conscious way of life. This practice of reciprocity is woven with respect and love which is fundamental to good living, sumaq kawsay, buen vivir and ensures a Happy Life: Kusi Kawsay. 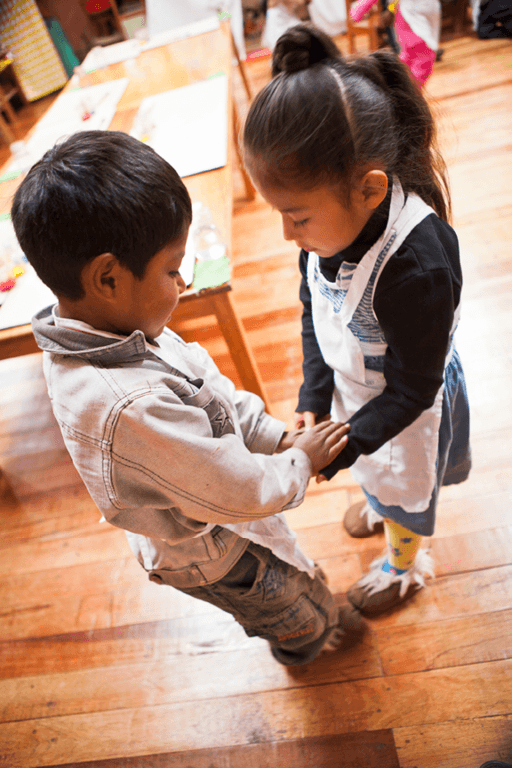 You have the opportunity of Ayni by giving a child an education of a lifetime. Our hope is that this will enrich your life knowing that you are making it possible to protect the seeds of ancestral indigenous wisdom for future generations through the practice of the important values of reciprocity, love and respect so vital to all. “I came to Kusi Kawsay in 4th grade. I was nervous, shy and timid. At Kusi Kawsay my teachers care a lot about me, they even speak Quechua, which makes me feel very happy. During these last two years I learned so many new things and made new friends. Now I am in 6th grade and I am more confident. In our last class presentation I recited my verse, and explained exponents and percentages from our math block in front of my friends, parents and visitors. It made me feel very proud.” These are the words of Eliana* (12), a 6th grade student at Kusi Kawsay. 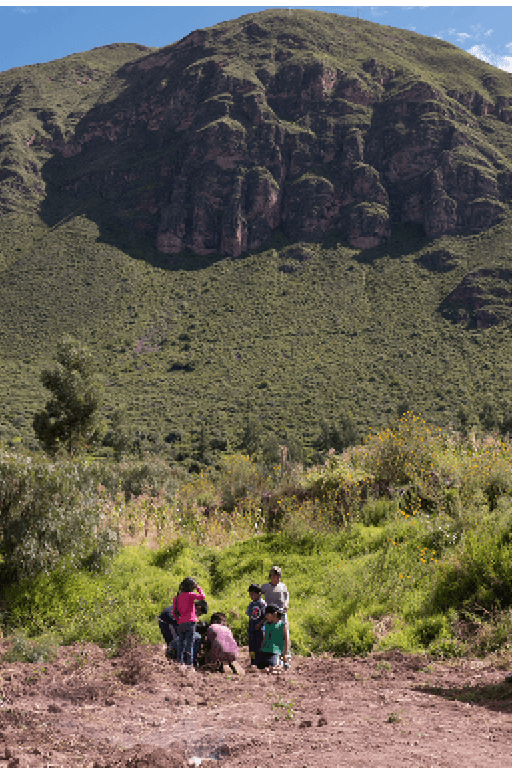 Eliana is from an indigenous community and walks an hour each day to get to school, and an hour to return home. When she arrived at Kusi Kawsay, she was behind in all her subjects, her handwriting was barely legible and she covered her face when speaking in public. But at Kusi Kawsay, we’ve seen the empowered Eliana emerge. She has caught up 2 grade levels, speaks confidently in public and attracts a wonderful community of friends with her playful and vibrant personality. 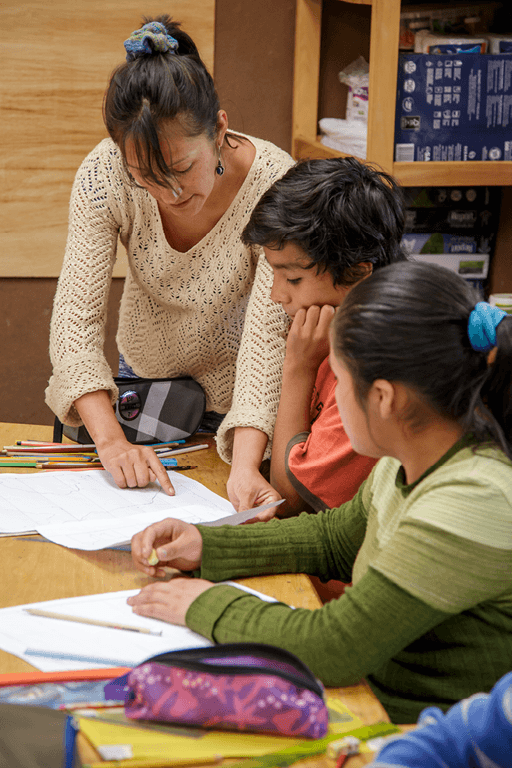 Our teachers, fusing Waldorf pedagogy with Andean culture and tradition, foster a joy of learning by helping students delve deeply into subjects like math, literature, reading, the sciences, geography and regional and world history. 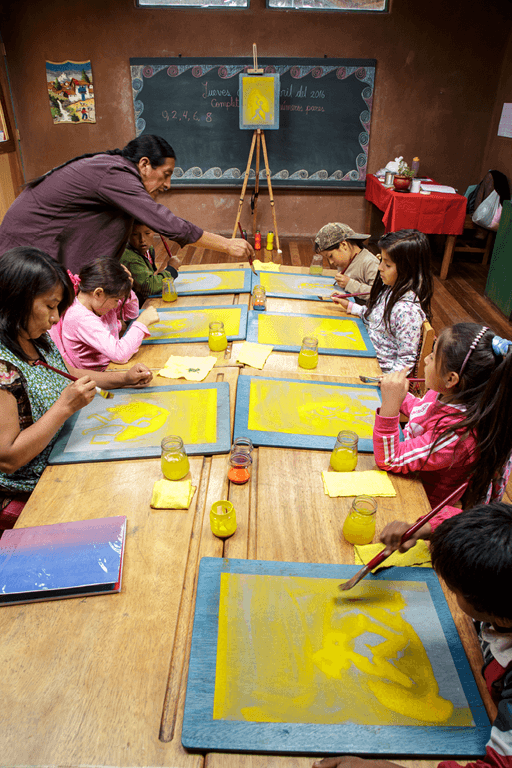 Along with life skills and tools to navigate the modern world, our students learn about ancestral wisdom and practices tied to the Andean Agrarian Calendar, gaining a deep sense of pride and connection to all living things. 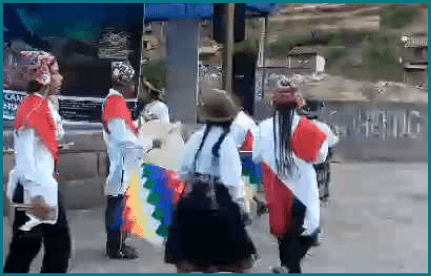 Recently, Eliana, along with her class, participated in an event celebrating Quechua music at the local museum in Pisac, seen above in the video “Father Wind”. Our students sang from their hearts and danced with joyful pride and confidence. Eliana is one of many students who have the opportunity to study at Kusi Kawsay because of the Ayni Scholarship Fund. 90% of our students come from families with so little income, that they cannot even afford our sliding scale tuition. Your donation of $1,850 not only supports a Kusi Kawsay student for one year; it provides an entire support system to a community; for the student and their family. Support one or more students at Kusi Kawsay and consider making a commitment to contribute to the Ayni Scholarship Fund for several years to safeguard the education of a student knowing you are enabling a child’s sense of dignity, self-esteem, cultural identity and belief in their future. Healthy community – $1,850 gives the opportunity for one student to attend Kusi Kawsay for a year. If you are moved by our vision, please join us by giving to the Ayni Scholarship Fund especially in these times when we all need inspiration more than ever. Thank you for your ongoing support and contributions. 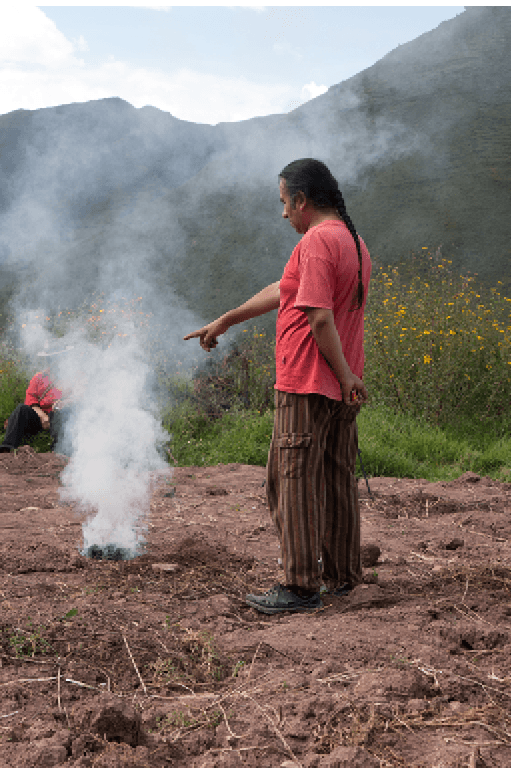 Tax-deductible donations for Kusi Kawsay in the United States can be made to Pachamama’s Path, a U.S. 501(c)(3). 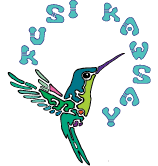 Kusi Kawsay is a program of Pachamama’s Path and your contribution can be made through the PayPal button below, via our secure website, or by mail with a check made out to Pachamama’s Path at 5543 Pelican Way, St. Augustine, FL 32080. Contact Ann Beckham at +1-(904)-461-4575 for information on stock/wire transfers. 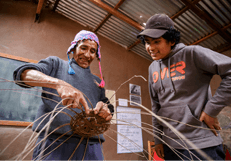 Please contact us at info@kusikawsay.org for information on how to make a wire transfer to our Peruvian bank account in Soles, USD, and Euros. Tax-deductible donations are also possible in Germany. For further questions, please contact us.